Joshua Kushner is an American businessman and investor. He is the founder and managing partner of the investment firm, Thrive Capital, co-founder of Oscar Health. Real estate magnate Charles Kushner is his father, whereas his brother Jared Kushner is the son-in-law and senior advisor of U.S. President Donald Trump. , and the son of real estate magnate. Supermodel, Karlie Kloss, wife of American businessman Joshua Kushner has revealed that she converted to Judaism before marrying him. The 26-years old supermodel converted to Judaism in 2018 before getting married. Later, she married the 33-years old businessman in a surprise and small Jewish wedding ceremony on 18 October in 2018. Kloss appeared on Bravo's 'Watch What Happens Live with Andy Cohen' where she revealed about converting to Judaism responding to a viewer question. She said, "I joined the tribe, mazel". Cohen replied, "Nice, you're a nice Jewish girl!". Karlie is the new host of "Project Runway". The brother of Jared Kushner, son-in-law and senior advisor of U.S. President Donald Trump. Joshua Kushner was born on 12 June 1985. He was born to a father Charles Kushner, and a mother, Seryl Stadtmauer. He has Polish ancestry on his paternal side. His birthplace is in Livingston, New Jersey in the United States. He holds American nationality. He belongs to White ethnicity. His zodiac sign is Gemini. He grew up in a Jewish family. He has a brother, Jared Kushner. He graduated from Harvard College in 2008. Later, he graduated from Harvard Business School in 2011. During his sophomore years, he was founding executive editor of Scene, a new Brooks Brothers-sponsored student-publication that aimed to be "Harvard's version of Vogue and Vanity Fair". Scene faced criticism upon its release. In the spring of his junior year. He pooled $10,000 with two graduate students to found social network Vostu. According to Kushner, Latin America was a promising market for a Facebook-alternative and new social networking site. The year after graduation, he, along with the cousin of the president of Kiva who was also a Harvard student, co-founded a start-up called Unithrive. Unithrive was inspired by the peer-to-peer loan model of Kiva. After graduating from Harvard, he started his career in the Private Equity Group at Goldman Sachs in the Merchant Banking Division. But he worked there for a short period. In 2009, he founded his private equity and venture capital firm, Thrive. The firm focuses on media and internet investments. Thrive has raised $750 million from institutional institution investors, including Princeton University. It has also raised several capital funds, including Thrive II. Thrive raised $40 million in 2011. Thrive III raised $150 million in 2012. Thrive IV raised $400 million in September 2014. He was named to Forbes' 30 Under 30 for his work with Thrive. Inc. Magazine named him 35 under 35. He was also named to Crain's 40 Under 40 and Vanity Fair's Next Establishment. He is the co-founder of a health insurance start-up, Oscar Health, founded in 2012. Oscar was valued at $2.7 billion in 2016. The company, as of 2015, insured over 145,000 members across four states. The company has been named to CNBC's Disruptor 50, Inc. Magazine's Most Innovative Start-Ups, and MM&M Top 40 Health Care Transformers. He founded a new company, Cadre in 2015. He founded the company with his brother Jared and their friend Ryan Williams. Ryan Williams is the CEO of Cadres. Cadre is a technology platform designed to help certain types of client such as family offices and endowments, invest in real estate. As he is the brother of Jared Kushner, President Trump's Senior Advisor and son-in-law, he stated through his spokesman that he loved his brother and did not want to say anything that might embarrass him. He has also stated that Josh is a life-long Democrat and did not vote for Donald Trump in November". Their parents were Democratic donors until 2016.
Who is Joshua Kushner married to? Kushner is a married man. He is married to supermodel Karlie Kloss. They started dating in 2012. The couple got engaged after six years of their relationship in July 2018. They later tied a knot to each other on 18 October 2018. His sexual orientation is straight. What are Joshua Kushner's Body Measurements? 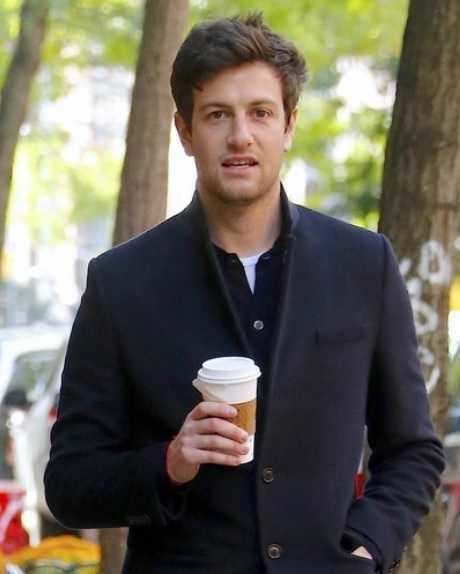 Joshua Kushner stands at a height of 1.88 m i.e. 6 feet and 2 inches tall. He has a body weight of 187 lbs i.e. 85 kg. He has a slim body build. He has dark brown eyes and his hair color is also dark brown. What is Joshua Kushner's Net Worth? He has earned his fortune via his business ventures and investments. His private equity and venture capital firm, Thrive raised $750 million in 2011, Thrive II raised $40 million in 2011, Thrive III raised $150 million in 2012, and Thrive IV raised $400 million in September 2014. He has established himself as one of the successful businessperson being named to Forbes' 30 Under 30, Inc. Magazine's 35 Under 35, Crain's 40 Under 40, and Vanity Fair's Next Establishment. His health insurance start-up, Oscar Health was valued at $2.7 billion in 2016. As of 2019, his net worth is estimated at $800 million. His wife, Kloss converted to Judaism, Kushner's faith in 2018 before marrying each other. Joshua and his wife published photos is support of the March for Our Lives.